Academic@HarperCollins.com and we’ll mail you one! If you need complimentary review copies of a HarperCollins title for your first-year committee, you can email Academic@HarperCollins.com. Questions? Need suggestions? Please contact HarperAcademic directly at (212) 207-7546. 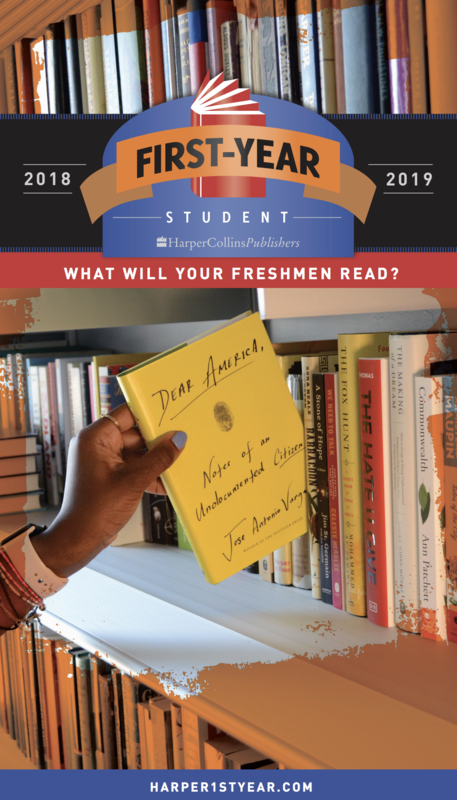 The HarperCollins SpeakersBureau is your connection to a stellar list of speakers for your campus events. Want to bring a HarperCollins author to campus for an event? They’ll negotiate and broker the engagement of your behalf. To contact them, please contact our Speaker’s Bureau at SpeakersBureau@HarperCollins.com. We know there are times when you would like to share a special book with your colleagues and students. For information on multiple-copy orders, please contact Gillian Wise in our Special Markets Department at (615) 902-1330, or send an email to gillian.wise@harpercollins.com.